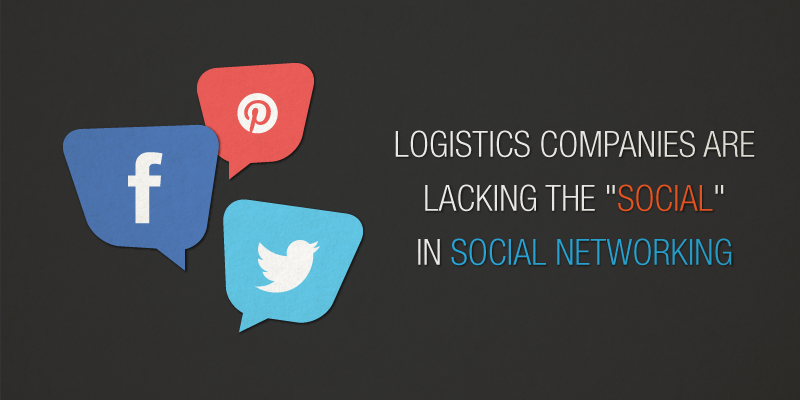 Logistics Companies are Lacking the "Social" in Social Networking | Morai Logistics Inc. In a 2013 study conducted by Adrian Gonzales, 45 percent of the supply chain professionals surveyed said that “social networks will make supply chain processes more efficient, responsive, and cost effective” over the next five years. 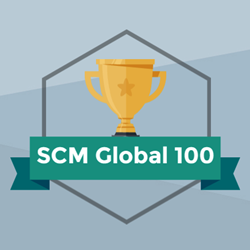 Another 30 percent said that “social networks will transform supply chain processes (for the better) in ways we can’t imagine today”. A similar study conducted by Fronetics Strategic Advisors found that of its respondents, 68% reported that their company has realized benefits by participating in social media. Although the positive attitude toward social networking is there, of the supply chain managers surveyed, 30% of the reported blocking access to social media sites. From the supply chain professionals that responded, 62% said that their companies hadn’t implemented a social networking solution yet, while another 27 percent didn’t know. The study concludes that the cognitive disconnect between supply chain manager believing in social networking, and the action of moving towards greater adoption has to do with the inability for companies to quantify the business value of using social networking technologies. There’s a similar finding in the Business Opportunities: Social Media 2013 paper which found that transport and storage companies are underutilizing these technologies the most, whereas other segments such as airline transportation make more extensive use of social media and count some interesting and innovative initiatives and projects in place. Proactive or SMART use of Social Networking? As mentioned, the biggest barrier at the moment to greater adoption of social networking is that it’s very difficult to quantify its business value. There are two contradicting philosophies when it comes to this topic. The first one, as described by the aforementioned study by Adrian Gonzales, is that trying to measure the direct ROI of something as ethereal as social networking technologies is the wrong approach all together. It cites the example of GE, which took a proactive approach to social networking by creating a platform that they “can track usage, adoption, how people are using the system, and what their connections are”. What it doesn’t do, is create the direct correlations between usage and business numbers that are needed for ROI. And according to its CEO Ron Utterbeck, “Going and spending money on ROI would be, honestly, in my opinion, just a waste of money because your true value of this is people are coming back”. The second philosophy is that of the SMART method which involves having specific, measureable, achievable, realistic, and timed goals as they relate to social media and social networking. The research found in the Business Opportunities: Social Media 2013 paper lists a number of opportunities that logistics companies could benefit from if they used the tools for “expert collaborative communities”. 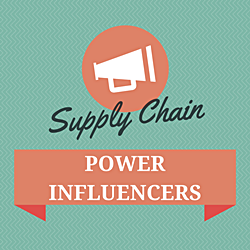 Managing procurement and logistics using Social platforms, which allow instant communication between different parties on complex supply chains. Improving organizational performance by streamlining communications and enhancing collaboration, both internally within the enterprise and outside with contractors, partners and suppliers. Facilitating collaboration and co-creation, reducing the time spent in unnecessary in-person meetings, and helping share internal knowledge and best practices. Accelerating the integration of new staff, contractors and outside partners into teams. 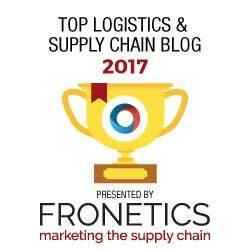 If the logistics industry is to better adopt and grow its social media presence, it will, as an industry, need to change any misconceptions it has toward the key trend. “Social networking is not really about socializing, but about facilitating people-to-people communication and collaboration” writes Adrian Gonzalez, “social media can – and should – play a central role in supply chain management”.